This is one honey of a moisturizer! 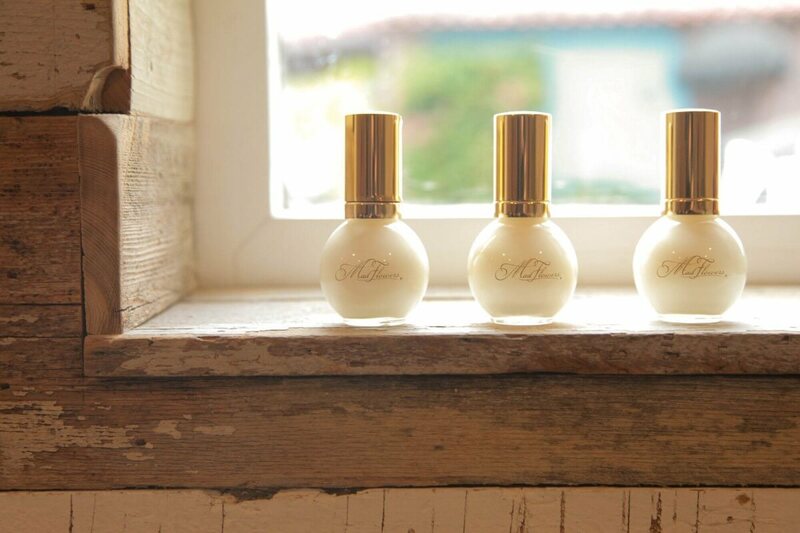 The sensual scent of patchouli fuses with your skin. Helps relieve the look of lines and wrinkles. 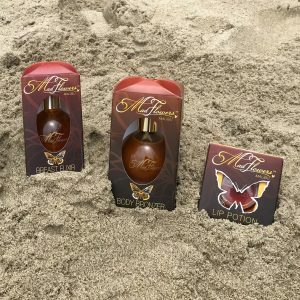 Uses natural ingredients like honey to de-stress skin. Your face is lushly re-energized. 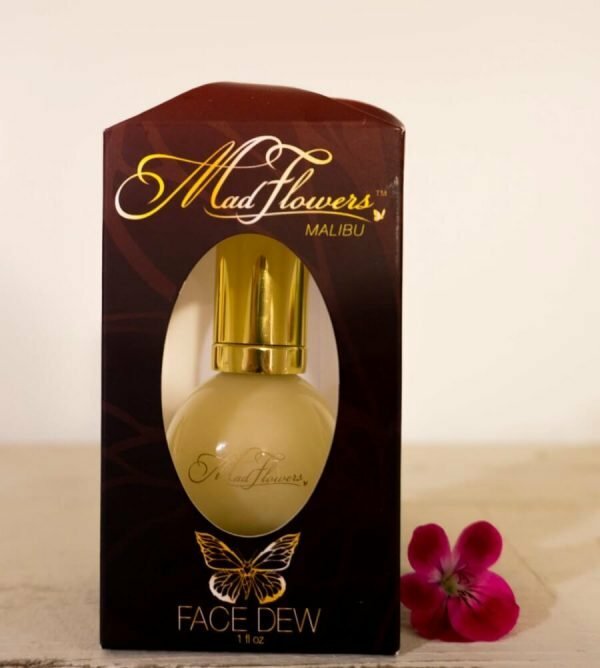 Madflowers Face Dew keeps your face hydrated and gorgeous. Positively glorious. 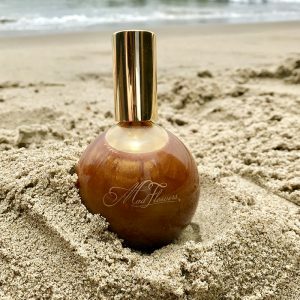 This luscious blend contains a synergistic blend of 88% essentials oils, 8% herbal infusion, 2% honey and 2% natural vitamins and preservatives creates a seductive glow and exquisite feel. Clarify, enhance; firm and tighten. 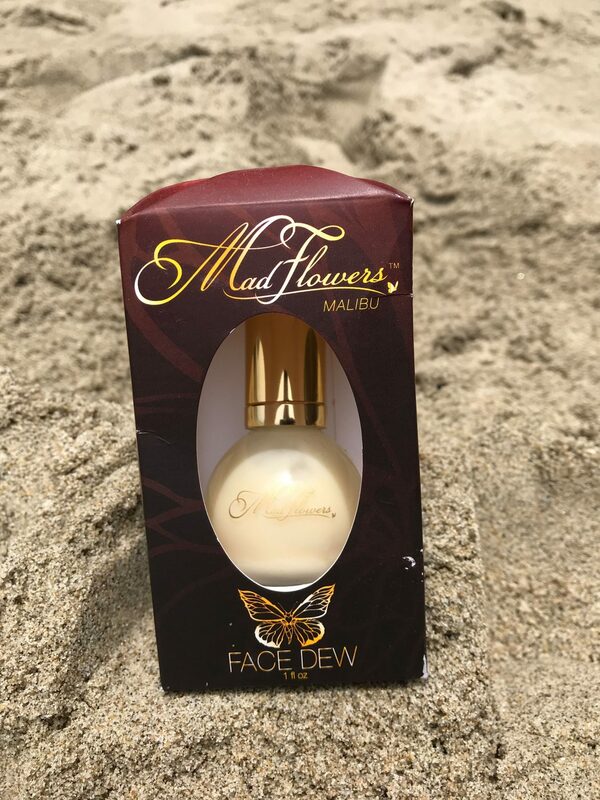 Always face your beauty with MADFLOWERS soft-n-smooth. Honey: De-stresses skin to fight the look of fine lines. Jasmine Oil: Erases dryness to create a smooth, dewy face. Patchouli Oil: Regenerates cells and reduces inflammation. Vetiver Oil: Relaxes and balances the skin for superior tranquility. 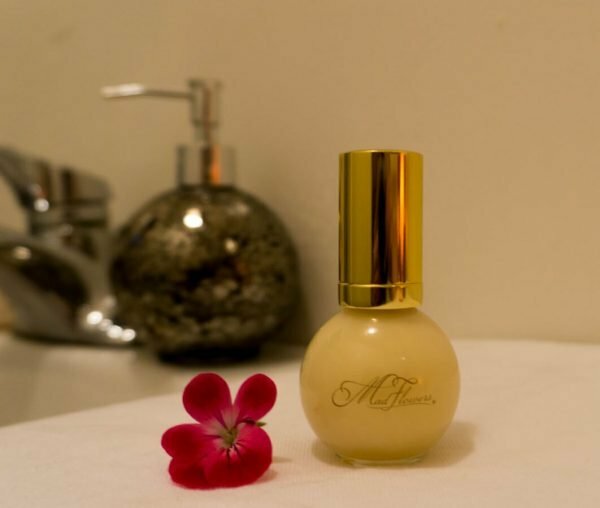 Vitamin A: Enhances face by revealing a healthy glow. Ylang Ylang and Yuzu oils: Calms, smoothes and tones skin for a lifted appearance. 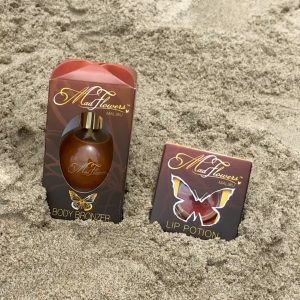 To achieve ultimate sexiness: Tap-tap-tap onto skin and this honeyed blend starts to energize immediately. Sensual oils work with your complexion to create a moist look that’s agelessly beautiful. Maddie’s message: Add this one to the ultimate honey-do list. It glides across skin, neck and decollete. Feel it working and get it done! Certified organic herbal infusion of chamomile (chamomilla recutita), echinacea (echinacea purpurea), green tea (camellia sinensis) and lavender (lavandula officinalis), plant oils of safflower (carthamus tinctorius), jojoba (simmondsia chinensis), sesame (sesamum indicum), grapeseed (vitis vinifera) and avocado (persea gratissima), vegetable glycerin, certified organic aloe barbadensis, glyceryl stearate, isopropyl palmitate, stearic acid, cucumber extract (cucumis sativus), organic sea kelp extract (macrocystis pyrifera), panthenol (pro-vitamin B5), lecithin, silica, methyl/propylparaben, tocopheryl acetate and tocopherol (vitamin E), vitamin A, honey and essential oils of jasmine, vetiver, ylang ylang, and patchouli.